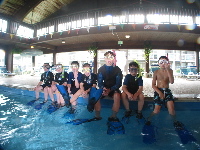 Now, discover all the adventure when you learn to dive with Don Ferris Dive Training. Learning to dive properly, is fundamental to your future enjoyment of the sport. Now that you’ve decided to learn one of the most fascinating sports in the world, you’ll want the most experienced instructors available. You know, ones who have taught hundreds and even thousands of people to dive, not somebody who just received their instructor certification and really don’t know the waters and the exciting diving to be had on Cape Cod. Our training program is headed by P.A.D.I. Master Instructor, Donald Ferris. 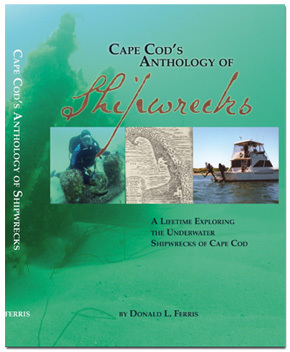 Don is the authoritative voice in Cape Cod diving having authored four books on diving including, Beneath the Waters of Cape Cod, Beneath the Waters of Massachusetts Bay, and Exploring the Waters of Cape Cod and the Anthology of Cape Cod Shipwrecks. Don is not only a highly experienced dive instructor, he’s also a former Water Safety Instructor, Lifeguard Trainer, and current Medic First Aid Instructor Trainer with years and years of actual lifeguarding and first aid experience. He is entertaining as well as challenging having certified over 2000 people to dive on Cape Cod and over 13,000 CPR and First Aid certifications! How Safe Is Scuba Diving? >> “This class was excellent! I couldn’t believe how easy and comfortable you are as a teacher. Thanks! People’s work schedules are more demanding now than ever. Especially if you’ve had some previous diving and snorkeling experience, our learn to dive program may be just perfect for you. That’s why we designed our classes around your schedule – not the other way around. Here’s the way it works: You’ll work one-on-one with Don and quickly and easily master the necessary skills to become a safe competent diver. NEW* – Begin to Learn today On-line using P.A.D.I.’s new On-line system for academic training. You literally can start learning and by doing this at home (or work), you can speed up how long the class will atke and we can concentrate on the really critical thing – your water skills. Let me assure you, this is no scuba diploma mill. You’ll swim hard and study hard. You’ll truly earn your certification and feel darn proud doing it! But because I’ve taught so many people over the past 35 years, I know how to adapt the training to your unique learning style. We guarantee you’ll love every minute as the program challenges your body and your mind. Step One – After choosing from a weekday or weekend learning schedule, you’ll register for the workshop of your choice with a deposit. You can choose to use the P.A.D.I. online academic module (a $160.fee to P.A.D.I. is involved *price can change) where you can do all the academic work online at your own pace, or we will provide you with the P.A.D.I. textbook, and DVD (the DVD is a loaner. You’ll fill out a little bit of paperwork including medical information and then you can immediately start learning about diving. Frequently Asked Learn to Dive Questions. Step Two – Over a 4-half day period, either mornings or afternoons, you’ll be doing the training using a lake environment in Barnstable, Sandwich or Brewster. You’ll be on scuba the very first day. There is a lot of swimming, but you’ll laugh a lot as you learn to dive. Most people think it’s pretty easy with only a few stumbling blocks to overcome. As one lady told me, “You’re not really teaching me how to dive, you’re teaching me how not to kill myself 100 ways!” I think that is a pretty accurate statement. After a 12-16 hours of fun and exercise, you’ll be smiling from ear-to-ear as you hold your certification card in hand. By the time your program is through, you’ll have a wealth of knowledge that you will carry with you your entire diving career. Welcome to our world. Tuition: just $599. Private Lessons includes . . .
We Suggest Using New PADI On-Line System for just additional $180. NOTE* The fee above is far less than local dive shops charge for a crowded “group lessons”. Ours are private or semi-private only. I like to teach one-on-one. Prerequisites: Must enjoy the water, swim and tread water comfortably. No history of ear, asthma or heart troubles. 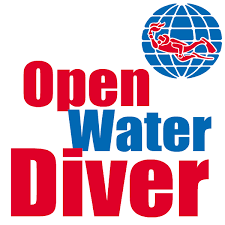 Equipment: We will do our best to supply you with everything else you will need to dive safely and comfortably. However, we can not always have every size of wetsuit or boots available (one guy had size 15 feet!). We suggest you have your own personal mask. snorkel, fins and booties, but you are very welcome to use ours during the course. We are not a scuba store and do not sell equipment, But there are a couple of dive shops close by and we suggest you work with them to ensure proper fit and comfort.